Welcome to Mercy Ebute's Blog: Sad: An airline technician sucked into aircraft engine and crushed to death. Sad: An airline technician sucked into aircraft engine and crushed to death. According to the report on BBC. An Air India technician has died after he was sucked into an aircraft engine at Mumbai airport, the airline says. The accident happened as the jet of flight AI 619 from Mumbai to Hyderabad was being pushed back for departure. 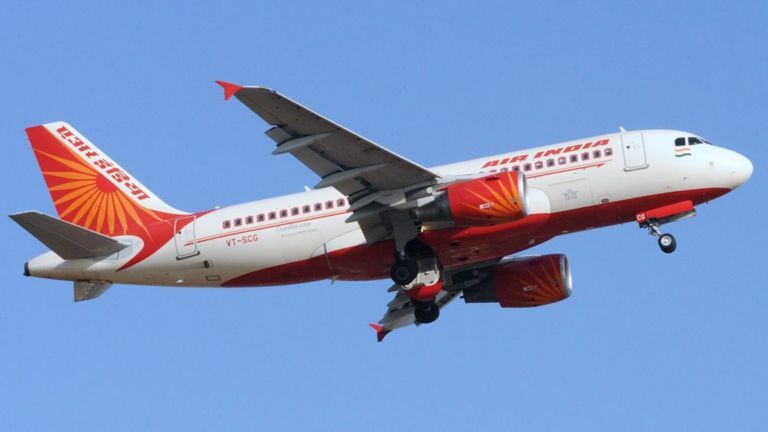 The Times of India, quoting Air India sources, reported that the accident occurred when the co-pilot started the engine at the Chhatrapati Shivaji airport. The victim was standing nearby. "We are deeply saddened and regret the tragic incident," Mr Lohani said. He added that the incident is being investigated. "At the moment, we are absolutely clueless on how this person was near the aircraft. Only an inquiry can establish whose negligence it was and whether the engine should have been switched on at that time," an airline official told the Hindustan Times. Mr Lohani expressed his condolences to the family.